Welcome everyone to our gardening website. This website basically started to solve all the problems of gardening. Our main goal is to share our experience related to gardening with all of you guys throughout the world. We always try to find new strategies and share the best resources with you. We are now discussing how to encourage new gardeners, how to make gardens, what a garden needs to do, or how to make your favorite gardens in the house. In addition, we are trying to introduce you to all new technologies. At this moment we have 4 members in our team. There are 3 experts who are always reviewing the new product for you. And they are really good at it. George Vance is the founder of GardeningArmy.com and he has more than 12 years of experience about gardening. The 48 years old guy spend his major time to innovate and experiment in gardening. 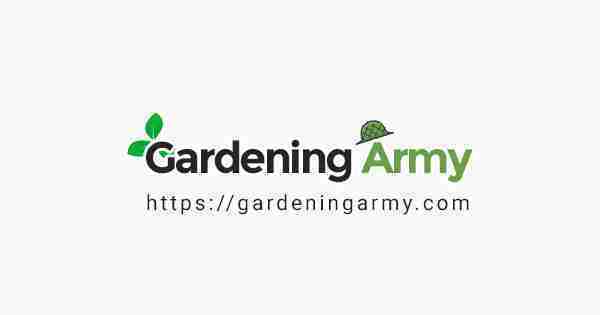 GardeningArmy’s future goal is to make it the best gardening blog over the world and provide all kinds of gardening resource to our visitor. If you need to ask something or find something about gardening than don’t hesitate to contact us. Just fill this contact form and we will reply you as soon as possible.